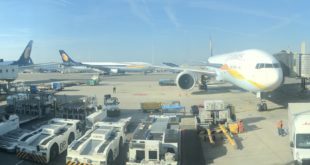 Jet Airways will begin two new flights from Bangalore to Amsterdam and Chennai to Paris from 29 October 2017. The airline will operate these routes with it’s Airbus A330-300 aircraft. These flights will offer codeshare connections on Air France, KLM Royal Dutch Airlines and Delta Air Lines and will give passengers one stop connections to 35 destinations in Europe and 24 destinations in North America. The new flights – 9W 128 from Chennai will depart at 01:45 hrs. arriving in Paris at a convenient local time of 08:10 hrs. 9W 127 will depart from Paris at 10:10 hrs. and arrive in Chennai at 00:15hrs. Both Air France and Delta Air Lines will codeshare on this flight which will operate for 5 days every week. 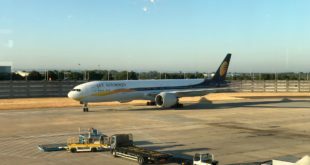 9W 236 from Bengaluru will depart on October 29, 2017 at 02:25 hrs. and arrive in Amsterdam at 08:35 hrs. On the return leg, the daily service, 9W 235 will depart from Amsterdam at 10:50hrs to arrive at Bengaluru at 00:40 hrs. KLM Royal Dutch Airlines and Delta Air Lines will codeshare on these flights. 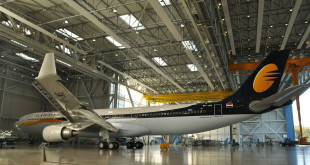 The airline is offering an introductory fare of Rs 39,999 in economy and Premiere (business class) for Rs. 129,999 for travel in the first month of the service. The airline is also offering special rates for travel packages to the two cities through it’s JetEscapes service. The new services will also increase Jet’s daily cargo capacity to Europe by upto 30 tons.